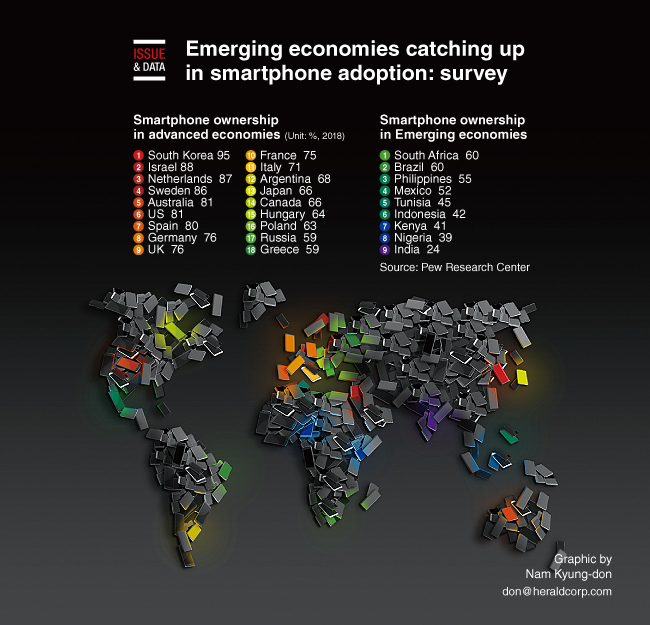 Smartphone use has become the norm in most developed nations, while many emerging economies are showing sharp gains, a global survey showed Tuesday. A Pew Research Center report found strong majorities of adults using smartphones in the world’s wealthier countries, led by 95 percent adoption in South Korea and 88 percent in Israel. The report is based on a survey of 30,133 people in 27 countries, conducted from May 14 to August 12, 2018. Adele + her husband Simon Konecki have split, but are committed to co-parenting – Motherly Inc.